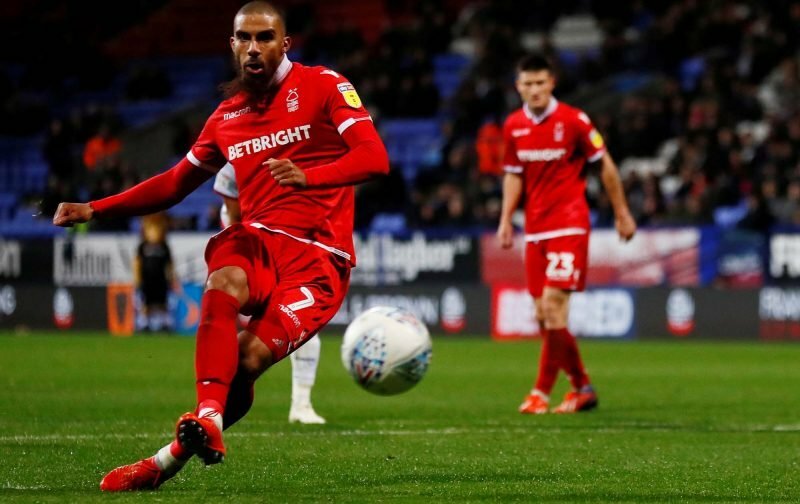 Lewis Grabban had an off day in front of goal against Preston North End, failing to register a shot in Saturday’s 1-0 defeat at the City Ground. The 30-year-old is enjoying a prolific campaign after joining permanently from Bournemouth, but he fired blanks for the fourth time in the Championship this season. Grabban had zero shots in 90 minutes, created two chances and made two dribbles. He completed 75% of his 20 passes, was caught offside twice and failed to win an aerial duel. It certainly wasn’t a vintage performance by the striker and he’ll have a chance to put things right against Derby County on Monday, December 17. Saturday’s defeat to Preston saw Forest fall out of the Championship playoff places. Aitor Karanka’s men now currently sit two points adrift of sixth-placed Middlesbrough and saw their seven-game unbeaten run come to an end. It’s only the third time all season that Forest have failed to score in the league, but Karanka may be worried with a current trend at home. The Midlands outfit have scored just one or less goals in four of their last five league games at the City Ground. Grabban can’t be responsible for every below-par performance, especially considering he’s bagged 14 for the season, but supporters will be hoping his Preston showing is a minor blip and nothing to worry.